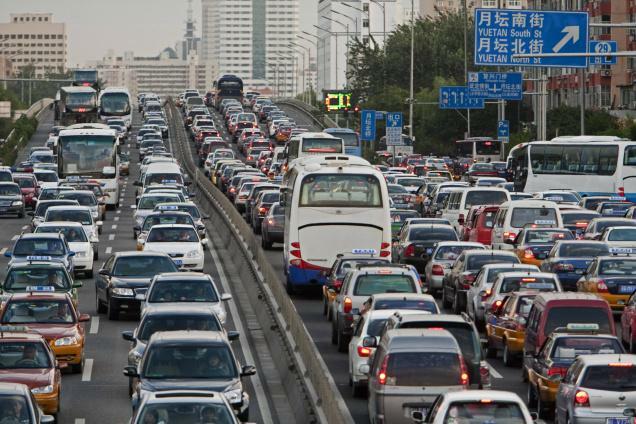 drivingandlife: CHINA'S CAR MARKET - WHAT GIVES? 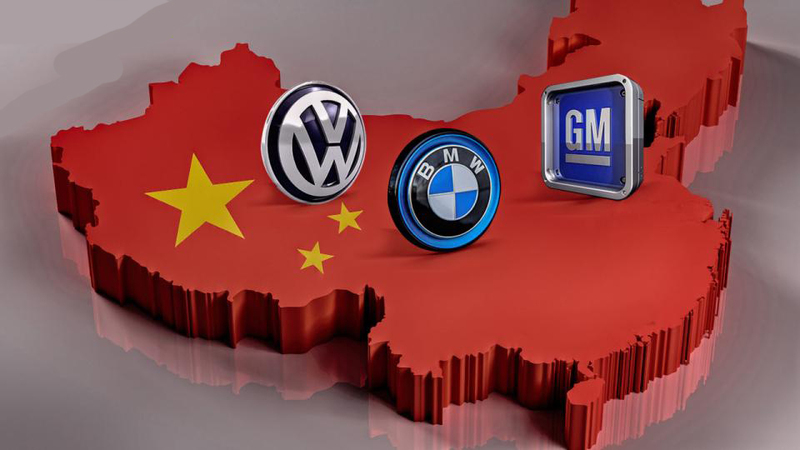 Given the millions of cars and trucks produced in China, many DRIVING & LIFE readers are wondering why we don’t see more Chinese vehicles exported around the world. There’s a simple answer to that; most of the vehicles produced in China, are for Chinese buyers. "Last year more than 26 million motor vehicles were sold in China. "That’s considerably more than the combined total for the US and Japan – historically the World’s first and second largest car markets. "The market has grown from 2 million a year in just 16 years. "Almost all vehicles were produced locally. Imports now exceed exports, but both numbers are minor in the overall. Some say there are over 100 producers in China but I think that number must include makers of mechanized hand-carts. "I believe the real number is closer to 48 – 27 joint-venture companies and 21 independents. That’s a lot even for such a huge market and although the government has been talking for years about consolidation, very little has changed. "These JV companies have exported very little because the agreement with the global partner precludes the Chinese partner from exporting. Realistically, the global partner would prefer to export from sites where they retain 100% of the manufacturing profits. "Partner to both VW and GM is SAIC Motor Corporation (formerly Shanghai Automotive Industry Corporation). This giant group makes over 6 million vehicles a year. "The independents are wholly Chinese-owned, usually with significant holdings by the central and provincial governments. "Some are listed – for instance Great Wall has listed on the Hong Kong and Shanghai exchanges. The independents have been the most active exporters, free of any partner-constraints. "Their main success has been in the Middle-East, South American and African markets. Iran is currently the Chinese independents’ biggest single market. "Great Wall’s exports have actually been declining in recent years. It’s probably because keeping up with the colossal growth in the domestic market has been sufficient challenge. But I also think coping with the culturally-complex vicissitudes of overseas markets has proved to be even more challenging. "Russia is a classic example, where the market has halved. More than a dozen have tried to get a foothold in the Australian market only to fail – at considerable cost. Only Great Wall was, for five or six years, a success. "All the Chinese makers, JV or independent, enjoy modern infrastructure. The bulk of their capacity would have been installed in the past ten years. All the highways and rail links are relatively new. I don’t think North America has any hi-speed trains. China has hundreds. "Have the Chinese manufacturers left their export run too late, by allowing local cost increases – particularly wages – to rob them of their competitiveness? "I don’t see any immediate challenges to China from other emerging economies. Maybe India with Tata’s ownership of Jaguar Land Rover. But no time soon. Thailand is a quiet achiever. Also robots are overcoming many of the labour cost issues. 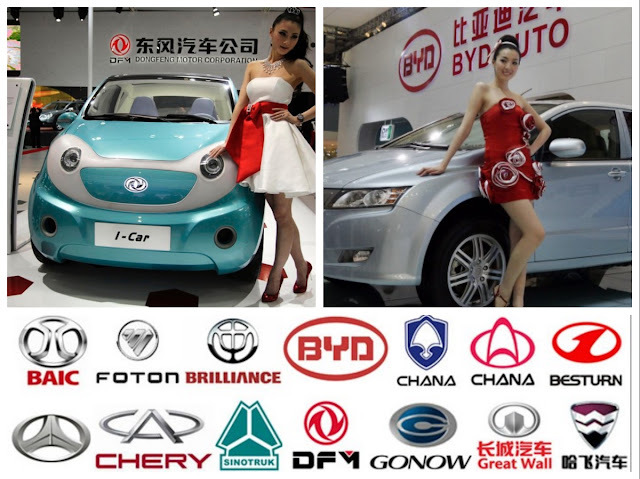 "China’s carmakers have the heft to follow the lead of Japan and Korea. First they will set up local manufacturing in the major markets of North America and Western Europe. Then they will set up in cheaper production locations, as the Japanese have done in Thailand, and Hyundai/Kia has done in Central Europe. "Certainly the quality of Chinese products has improved rapidly and should allow access to more mature markets. The independents are catching up to the JV producers – who, as mentioned earlier, have a built-in restriction on exporting. "SAIC has acquired the MG and Rover (called Roewe in China because the Rover name was not included) operations. SAIC also purchased LDV (Leyland Daf Vans). and now has major design input to GEELY. "A company named Geely has a controlling interest in Volvo, and is using Volvo product and manufacturing expertise to up-grade its operations. Already some Volvo products are going from China into North America. And plans are underway for a new brand, LINK & CO, to target other overseas markets. "But the Chinese makers must be cautious about over-reaching under the guise of 'branding', especially in mature markets. "Look how long it took Toyota to establish the Lexus brand, or Nissan the Infinity name. "Also, look how few Chinese brand names are on the Australian market. Really, very few, and all tentative in their reach. "Usually everything we snap up from China is under another brand – Apple being the best example. "Beautiful products of exceptional quality but little focus as being made in China. "Acquisition of established international brands may be the way to go. *Ric Hull holds an exalted position in the Australian automotive industry. His career began as a member of the Ford alumni, and he worked in a number of Ford’s global markets. He is widely known in Asia-Pacific as well as Australia for his foresight and prescience, evidenced by his decision to help Hyundai firmly establish operations in Australia in 1988. After successfully building up Hyundai’s operations, he left in 1994 to start up Daewoo Motors Australia. Sadly, this ended in tragedy for all concerned, around the world, when Daewoo Corporation went bankrupt, after the Chairman over-extended his expansion. In 1999 he moved to Ateco, run by New Zealand automotive entrepreneur Neville Crichton, to pitch for the Kia Motors franchise. Duly won, that enterprise became so successful the Korean parent negotiated to buy back the franchise, at a big profit for Ateco. The blend of Crichton and Hull’s entrepreneurial skills and tight fiscal management saw Ateco establish beachheads in the Australian market for a number of marques – including Fiat, Ferrari, Maserati, Alfa Romeo, Citroen and eventually Chinese producers Great Wall and Chery. 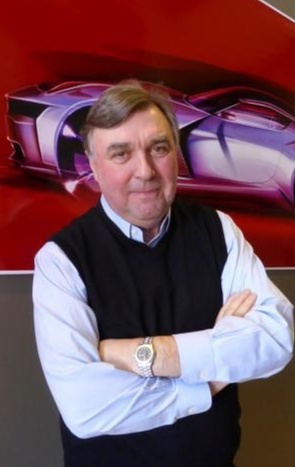 This is just a précis of an outstanding career in the automotive industry, and although he has retired Ric Hull remains plugged in to the ebb and flow of the industry and the developments which will change our approach to personal mobility.